"It is Flournoy's finely tuned empathy that infuses her characters with a radiant humanity." "Flournoy creates a vivid portrait of fictional characters in a real city. This is essential reading." "Epic, ambitious and strikingly executed, The Turner House is an impressive debut novel." "Even if all you know of Woodward Avenue comes courtesy of Bob Seger, even if 8 Mile is only a movie title to you, do yourself a favor and read The Turner House. Once you open its pages, you won’t be able to put it down"
"With The Turner House, Flournoy has written an utterly unsentimental love story that, rather like the house on Yarrow Street, manages to make room for everyone." Flournoy’s strength lies in her meticulous examination of each character’s inner life. "[The Turner House] is not only a saga of generations of this family, but is also about the ephemerality of the American Dream, and of how the hold we all have on our futures is more tenuous than we’d ever dare think." "The Turner House is a wonderfully crafted glimpse into the intimacy of family, and shows immense promise for Flournoy." "Utterly moving and tough as nails, The Turner House is a love story as immense as the family it describes, and as complicated as the city that made them. A clear-sighted ode to the bonds that make and break us, to resilience across generations, to shared joys and solitary struggles, Flournoy's debut is as fresh and bold as they come. Commanding and unputdownable!" "The Turner House is a marvelous novel introducing a family of irresistible characters. Angela Flournoy is a magician--here is a story that is charming and funny while being whip-smart and profound. Laced through are the hard facts of history and the mysterious workings of the human heart. The magic begins with the extraordinary first chapter and lasts to the very last page. This is a thrilling debut from a writer to watch." The Turners have lived on Yarrow Street for over fifty years. Their house has seen thirteen children grown and gone—and some returned; it has seen the arrival of grandchildren, the fall of Detroit’s East Side, the loss of a father. The house still stands despite abandoned lots, an embattled city, and the inevitable shift outward to the suburbs. But now, as ailing matriarch Viola finds herself forced to leave her home and move in with her eldest son, the family discovers that the house is worth just a tenth of its mortgage. The Turner children are called home to decide its fate and to reckon with how each of their pasts haunt—and shape—their family’s future. "In this assured and memorable novel, [Flournoy] provides the feeling of knowing a family from the inside out, as we would wish to know our own." "Flournoy's richly wrought prose and intimate, vivid dialogue make this novel feel like settling deeply into the family armchair." "Flournoy’s debut is a lively, thoroughly engaging family saga with a cast of fully realized characters." "An elegant and assured debut." "One of the many strengths of this book — entertaining, well-written and keenly insightful without calling attention to itself — is its clear-eyed, unsentimental vision." "The Turner House belongs on the shelf with the very finest books about one of America’s most dynamic, tortured, and resilient cities...There are cracklingly alive scenes inside pawn shops and factories, casinos and living rooms." "Encompassing a multitude of themes, including aging and parenthood, this is a compelling read that is funny and moving in equal measure." "The conversations between the Turner siblings ring true, and so do the family's tension and affection. One hopes Flournoy has more stories to tell about them." "What makes The Turner House profound is its reality, its observation of a family so diverse and well-drawn that they seem real." ﻿"Flournoy’s spare, headstrong style enables her to lay bare, without pretensions, a story about the black American diaspora in which slavery, segregation, and gentrification are all joined in a single narrative." "A funny yet heart-wrenching book, both beautiful and revealing of all the ways close human beings relate to one another (and to places and things) over time." "An expansive and ambitious novel that descends through the generations of one family's history to achieve real poignancy and power." "Angela Flournoy’s extraordinary debut novel, The Turner House, is as compelling, unforgettable, and beautifully told a story as I’ve read in ages. The real and the supernatural, the hardships and hard won triumphs of the tightly knit, at times warring Turner clan will pull you close to this family’s generous, dignified heart. While each of the thirteen siblings (and their parents) could carry a book on his or her own, here they remain indelibly linked by the complicated bonds of history and belonging—and by the promises of their heartbreak city, Detroit." "The Turner House is masterful: a novel full of history and lies and the myths that can bring a family together, or tear it apart. There are touches of grace a humor in this generous and humane portrait of a family, and a city, in transition. This is a beautiful, elegant, and living novel, one that you will savor until the last, moving paragraph." 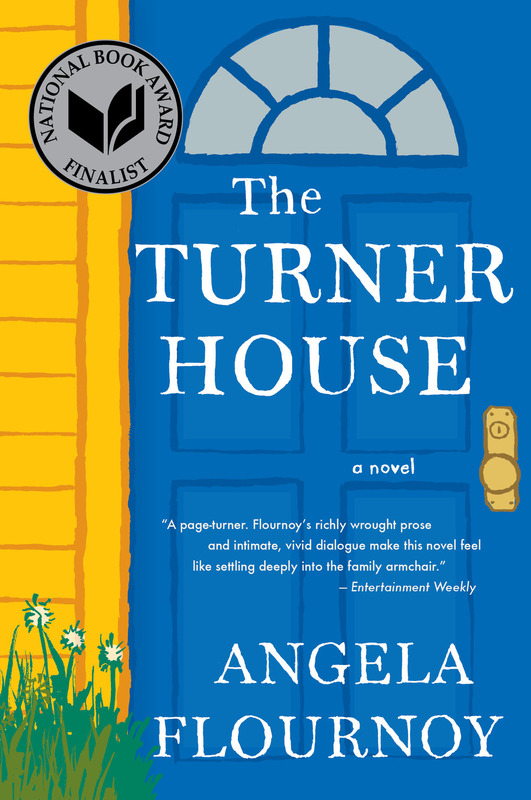 "Angela Flournoy’s brilliant The Turner House is about no less than the joy and aggravation of being a human being in a large family, in a house, in a city, on this earth. This book is so beautifully written, so perfectly observed and heard—it’s about aging and parenthood and above all that misunderstood lifelong union, siblinghood—but it’s also pure pleasure to read: funny, heartbreaking, with the sort of characters you’ll miss like family when you finish. The Turner House is an absolutely wonderful novel."